Maybe the average Joe gets up and their car decides to not start up one morning, maybe they are someone who wants to have a quad pipe exhaust system installed on their car or maybe they're a person who has an passion for cars and want to make a career out of maintaining them. With any of these three interests at heart, some sort of experience in automotive mechanics would be of help and the first step is education and now CollegeComplete.com has answers with its new Automotive Repair section. in todays world, before you can get that entry level job, you will need to get a certificate in automotive repair or something similar." CollegeComplete.com is pleased to announce that their website now includes detailed information about the Mechanic field, salary, needed education and job prospects. Once someone decide this field is right for them all they need to do is reach out...Education Advocates are standing by to provide free advice. For now, lets say a person who is interested in making a career out of fixing up cars. Well, they are in good shape already; there are nearly 750,000 jobs in the automotive mechanic field. Also, people need automobiles to function in this world. And automobiles need to function in order for the people to function. So in simpler terms, there will always be a car that needs to be fixed, and you could be the one fixing it. There are several ways for someone to get their foot in the door. One thing that is definitely beneficial for someone pursuing a career in automotive technicians is a National Institute Automotive Service Excellence (ASE) certification. There are a vast variety of programs that someone can complete to get this certificate, with some programs being 6 months, and some being 6 years. It all really depends on the format of the program, but there are a ton of options to choose from and they all yield the same certification. For more details on the specifics of ASE, visit their site. This certification is a very crucial part to becoming a legitimate candidate for a position in the field. So let's say someone wants to get certified but they don't have no clue how to get started. Well, they could get free educational advice from a site like CollegeComplete where Education Advocate can match them with a school that can provide certification. Their recommended schools will fit all of this person's needs whether it be money, time, location etc. A huge part of becoming a reputable mechanic in the field is experience. 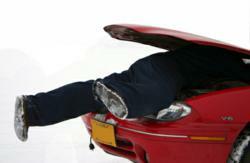 Therefore, being an apprentice or a "technician's assistant" is a crucial part to a career as a mechanic. Although the ASE certification isn't necessary to become an apprentice, it is definitely helpful and in most cases, expected. Profession expert, Daniel Haim, notes how another path to follow is "to get a job with a dealership," where they "send you to a specialized training program to learn how to repair their specific brand of car." Haim continued "in todays world, before you can get that entry level job, you will need to get a certificate in automotive repair or something similar." So next time you are stuck on the side of the highway with your hood smoking, or you're like much of the country and want to get a quick 50 horsepower gain, consider pursuing a field in the automotive technician field. To get more info about the profession read more here via College Complete.